Famous for its enviable location, The 12 Apostles Hotel & Spa delivers not only a world-class stay, but a holiday-defining experience. Every night, from the comfort of the Leopard Bar terrace, Mother Nature puts on a show to stun patrons. As the sun dips from the sky into the ocean, the colours of the rockface behind the hotel blazes many hues of orange before finally succumbing to the darkness and handing centre stage to one of the world's most spectacular sunsets. Enjoyed with a chilled cocktail, it’s hard to not feel like you’ve really won in life. Sounds fairly obvious right? 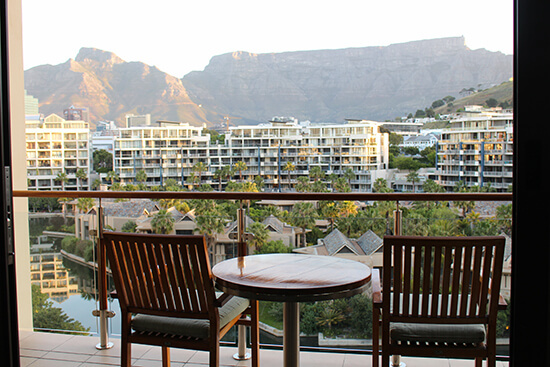 Wait until you wake up and open your curtains, or better still your balcony doors, to the spectacular views of Table Mountain. Or stand on your balcony, wine in hand and look across at the twinkling white lights illuminating the V&A Waterfront and bouncing off the ocean. A guaranteed highlight. Not all sights bring gasps of joy to a traveller, but that’s not to say they aren’t worth seeing. If you are remotely interested in understanding South African history, learning about the Apartheid story and the most revered South African ever, before taking a trip to Robben Island – the former prison-island – is a must. Standing at the entrance to Nelson Mandela’s cell gives an insight into the brutal conditions he and many others endured in the fight for freedom, not only for themselves but for a nation plagued by racial division. Many count this as a ‘must do’ in Cape Town. South of the city, this is well worth a day visit for nature lovers. It’s the bottom of the world in African terms, from the cliffside it’s possible to see where two of the great oceans of the world meet: the Atlantic and the Indian. The greenery of the reserve really enhances the landscape, but add to the recipe the craggy cliff faces, crashed into by a blue expanse of ocean, and it really is a spectacular spot. With a little bit of luck, the local (and very friendly) baboon troop might choose to accompany you around the area too or, if you time it right, and you could be having lunch at Two Oceans Restaurant as whales splash around in the water below. Is cuteness your thing? Of course it is. 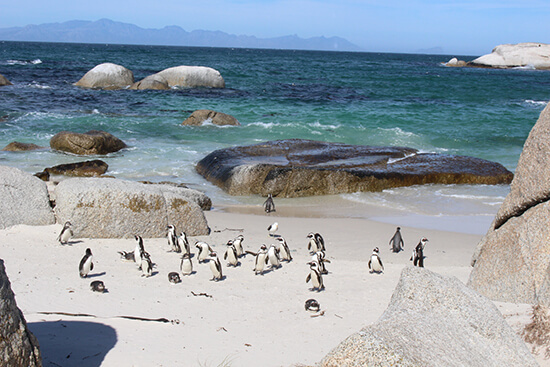 Rise early (to beat the crowds) and head to Boulders Beach, where you can squeal with delight at the colony of African penguins. Believe it or not, these birds are endangered, but this top spot not only gets you closer to penguins than anywhere else in the natural world but the money generated at Boulders Beach is pumped back into conservation efforts. So cooing away at these waddling wonders is not only a treat for you, but really is essential for them too. Table Mountain looms large over the city, creating postcard-perfect backdrops both day and night. 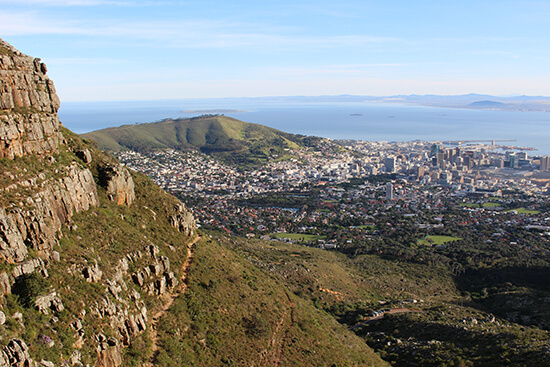 But don’t forget to head to the top of the mountain, listed as one of the official New 7 Wonders of Nature, and see the platform it provides to view the rest of beautiful Cape Town and beyond. Active types can walk up or down for some spectacular views – it takes between two hours and eight hours one way depending on your route – or you can take the handy cable car that rotates on its journey, giving you a fabulous 360-degree panorama of the city. From the top it feels like you can see the whole world stretching out before you and, if you’re after a moment of peace and tranquillity, a short flat walk around the plateau delivers in spades. Marked on a map as a toll road, it’s so much more than that. Those fond of driving on scenic routes, and particularly coastal roads, should ensure this is on the list. Hugging the cliffside (for dear life!) the emptiness and beauty of the road, at times, makes you feel like you're starring in a romantic movie or Italian car advert. You’re not. But pulling in at the many viewing points, unpacking a picnic and watching the sun beam down is just about as dreamy as driving experiences get. Whilst images of these beach huts might send shudders down the spines of Brits old enough to remember spring days out at blustery Blackpool, Muizenberg Beach’s Victorian huts, sporting multicoloured shades of red, yellow, blue and green, bring a very sunny and fun South African vibe to the relics. They provide a fantastic focus point to a fantastic sandy spot. Officially a Blue Flag Beach, it boasts top marks for safety, recreational facilities and eco-consciousness. Less of a physical view and more of a glimpse into Capetonian lifestyle and culture, Bree Street and its offshoots showcases the best of a new Cape Town with local arts, boutique shopping, museums and of course restaurants and bars. Yes, it’s cool, maybe even hipster, but it retains a welcoming feel that doesn’t always ring true of other city locations described as such around the world. Even in the most seemingly fashionable cocktail bars you’ll be greeted with a smile. Even where chefs are fighting tooth and nail to have their new joints with at a Bree St address you can find a table (try the fish, any fish). And with South Africa being such an affordable location, an afternoon shopping will leave you with armfuls of high quality, local gems without breaking the holiday budget. Discover if Cape Town is the city for you when you book an appointment with one of our Travel Experts. They'll get to know you, your likes, your dislikes, and your budget, to tailor make the ultimate South Africa holiday. Lucky enough to travel from an early age, I’ve never truly stopped since. I love exploring places where the natural world reigns large and history looms but also a cold beer complements the sunset. A travel dreamer at heart, I keep working towards the ultimate of travelling all my life. So far I’m on track.